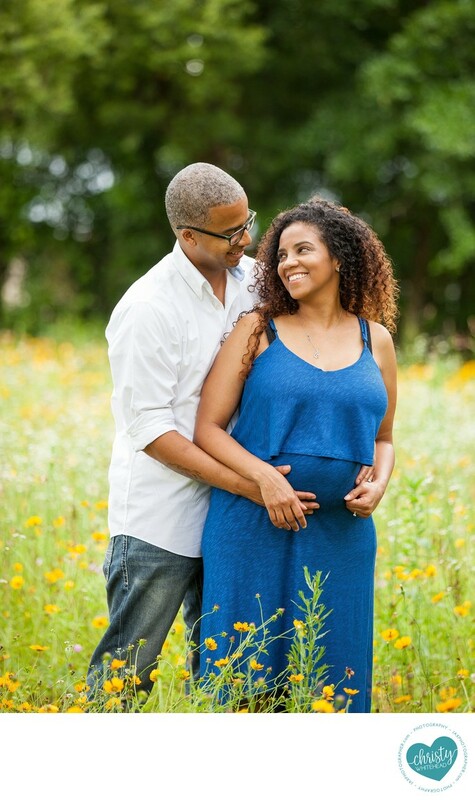 Choosing what to wear can be the hardest part of a maternity session for many women. Which is why I try to supply them with so many helpful tips. From clothing guides, to when and where to schedule your session. But it can still be an overwhelming task with so many options. Here are 10 easy outfit ideas for your maternity photos. Use the ideas as is or put your own signature style on them. Knee length maternity dress with a jean jacket or blazer. When it comes time to plan your outfits, choose styles that make you feel like a polished version of yourself. We want you to feel both comfortable and confident. Also keep in mind that the goal is to show off your beautiful pregnant body, if an item of clothing hides your belly or makes it look smaller, it might not be right for your session.